Genetically speaking, all humans are 99.9% identical, but that tiny 0.1% variation has signfiicant consequences, influencing everything from the color of your hair or the size of your hads, to your risk of developing a disease. 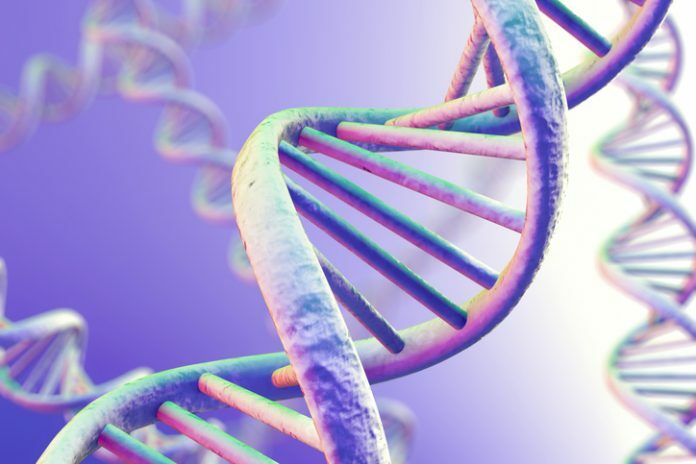 Although variants are scattered throughout the genome, scientists have largely ignored the stretches of repetitive genetic code once dismissively known as “junk” DNA in their search for differences that influence human health and disease. Now, new research shows that variation in these overlooked repetitive regions may also affect human health. These regions can affect the stability of the genome and the proper function of the chromosomes that package genetic material, leading to an increased risk of cancer, birth defects, and infertility. The study (“Genomic variation within alpha satellite DNA influences centromere location on human chromosomes with metastable epialleles”) appears online in Genome Research. Even though the sequence of the human genome was declared complete more than a decade ago, it retains several glaring gaps, especially in the repetitive sequences around centromeres, the twisty ties that hold a pair of chromosomes together in a floppy X shape and coordinate their movement during cell division. These centromere sequences (satellite DNA) are made up of blocks of exactly 171 As, Cs, Ts, and Gs, repeated over and over for millions of base-pairs. Researchers once believed that each chromosome contained a single stretch of this satellite DNA, which determined where its centromere would reside. But a few years ago, Dr. Sullivan’s lab discovered that many human chromosomes possessed more than one of these regions, and depending on the individual, the centromere could form at either site. In this study, Dr. Sullivan wanted to see how the chromosome decides where to put its centromere, and whether one site builds a “better” centromere than the other. Of the 23 pairs of human chromosomes, she focused on chromosome 17, which is structurally rearranged or mutated in many different cancers and birth defects. First, Dr. Sullivan and her team combined molecular and visual assays, stretching the chromosome out into long chromatin fibers that were painted with fluorescent probes to map the variation in genomic sequence at the two different regions of satellite DNA. Then they looked at each satellite region for the presence of proteins necessary to construct a fully functioning centromere. The researchers found that genomic variation at one of these satellite DNA regions, either in the size or sequence of its repeated 171 base pair units, ultimately determines whether the centromere is built at the primary site or the alternate site. When they interrogated samples from a human DNA bank, they found that about 70% of humans have little genomic variation at the primary site, while 30% have differing degrees of variation. Most of the time, the centromeres aren’t built at the primary site if it contains variation and instead are assembled at the “backup” site nearby. But when this happens, the result may be a dysfunctional centromere that is architecturally unsound and an unstable chromosome that may be present in too many or too few copies. In the future, Dr. Sullivan plans to investigate just how big of a risk the variant satellite regions pose for those who carry them, and possibly develop a way to use these sequences as biomarkers for the chromosomal defects that can lead to disease.